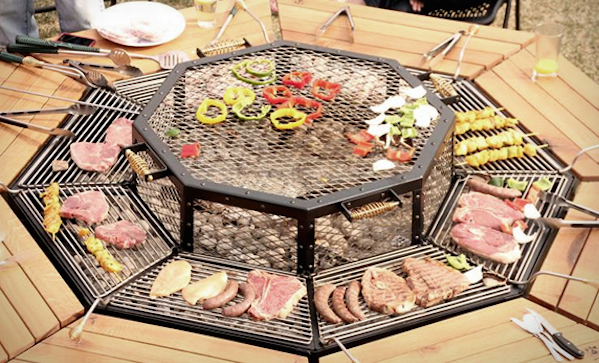 Move over, poker table, the JAG grill BBQ table ($2,500) has just replaced you as our best-loved speciality table. Do we even need to say why this may be humanity’s greatest invention? You get a fire pit in the middle of your table, every guest can grill their own meat, and if you wanted to arrange some kind of barbarian feast, as we are wont to do on a fairly regular basis, this is the table that would help you do that.